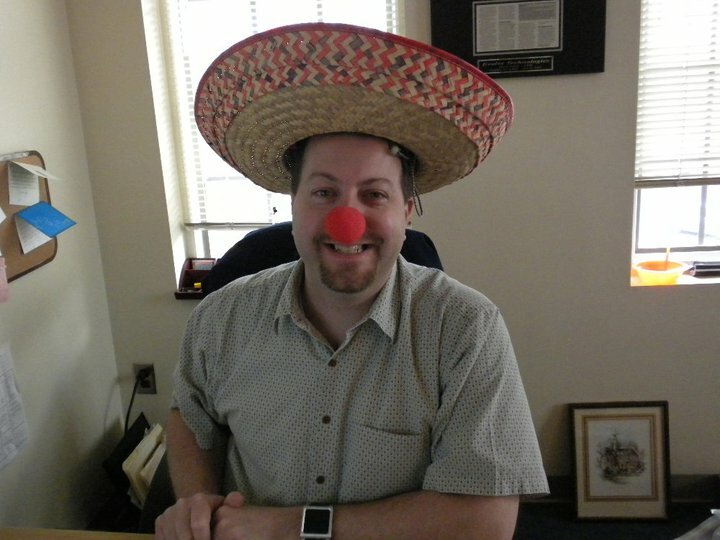 Yesterday, while I was poking around on Facebook researching potential stories ideas from my newsfeed, a rather random item popped up from managed service provide Evolve Technologies: Actually, it was a random photo that popped up on the Fairfax, Va.-based company’s Facebook page, one of the company’s CEO, David Sobel, wearing one of those red noses that you’d normally see some clown wearing at the circus. The idea of this day is to basically do something silly or fun in the name of fund-raising for charity. Sobel picked up the idea during his travels in the United Kingdom, where he facilitates one of the Heartland Technology Peer Groups. In Evolve’s case, the company isn’t raising money this year. But it will make a donation to Martha’s Table, which is an organization based in Washington, D.C., that is focused on addressing poverty through after-school and food service programs. It is encouraging its Facebook and Web site visitors to join in this contribution. This is the sort of thing that endears smaller technology solutions providers to their local communities. It shows a connection with the place it does business, plus it shows the human side — which we all know is a big factor in long-term relationship. What creative things has your company done lately to become more closely involved with its community?